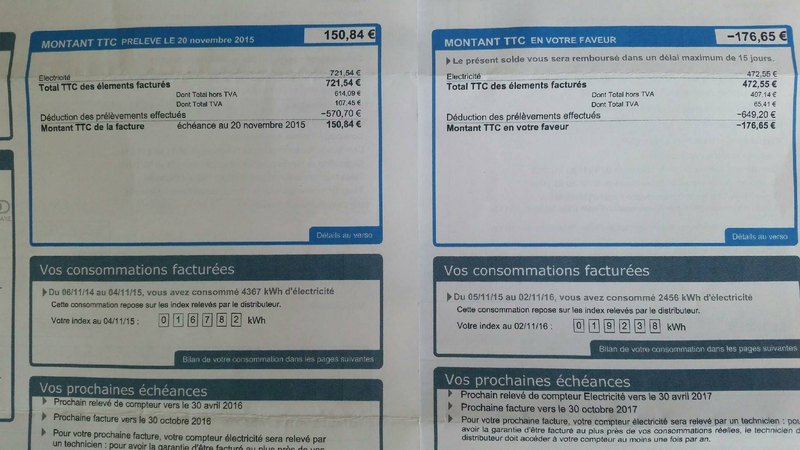 En 2016 j'ai reçu ma facture d’électricité annuelle. grâce a mon magrav j'ai fais une économie d'environ 40 à 45%. merci a mr keshe et a la fondation keshe. In 2016 I received my annual electricity bill. Thanks to my magrav I made a saving of about 40 to 45%. Thanks to Mr Keshe and Keshe Foundation. "Nous avons branché depuis peu dans le laboratoire notre dispositif Magrav Power (magnétique/gravitationnel), sur deux frigos, nous l'avons placé le plus près possible d'un moteur dans le but de créer un échange plasma plus important. Le Magrav Power va s’habituer aux cycles de déclenchement des frigos et va nanorevêtir en premier les moteurs électriques des frigos.Vous pouvez également le placer sur le dessus du frigo, cela fonctionne aussi. Nous avons deux Magravs chez nous, réalisés artisanalement. Nous avons patienté 4 mois avant d'avoir les premiers résultats, aujourd'hui ils nous économisent environ 30 % de notre consommation et ils semblent se stabiliser. Au delà de la simple économie, à chacun des branchements de nos Magravs et durant les 3 premiers jours qui ont suivi, nous avons ressenti au point de vue de l'énergie des changements notables. En effet il y a eu un temps d'adaptation à ce nouvel environnement qui s’est installé, plus harmonieux. Pour décrire le ressenti, cela se rapproche d'un sentiment de paix, d'harmonie et d’enveloppement protecteur." "We recently connected our Magrav Power device (magnetic / gravitational) on two refrigerators, we placed it as close as possible to an engine in order to create a larger plasma exchange. Magrav Power will become accustomed to the cycles of triggering fridges and will first nore the electric motors of fridges. You can also place it on the top of the fridge, it works too. We have two Magravs at home, made by hand. We waited 4 months before the first results, today they save us about 30% of our consumption and they seem to stabilize. Beyond the simple economy, at each branch of our Magravs and during the first 3 days that followed, we saw significant changes in energy. Indeed there has been a time of adaptation to this new environment that has settled, more harmonious. To describe the feeling, it comes close to a feeling of peace, harmony and protective wrap." While I built a MPU, I just set two capacitors with 30 leaps-coil ,and test the DC voltage from the Grid-plug (unplugged). The power consumption reduced 200W. Our testimony on the installation of our first home Magav. Since we do not have suitable electronic devices, we use radiesthesia with the LÃ © cher antenna and the universal wand, as well as our own feelings to understand and analyze the changes On the environment (our place of life) and on ourselves. 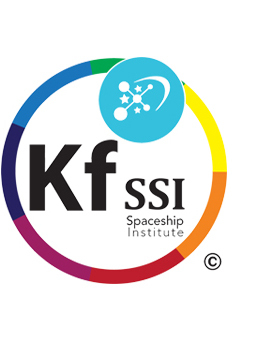 Radiesthesia and kinesthesia are individual tools that refer to the history of each person, his/her own assimilation and understanding of energy, to his/her scale Value, to its ability to get into a suitable state and adapted to have results etc. It is very difficult to compare or to have identical results because we are all unique. However, dowsing and kinesthesia are a good way to have valid directions and directions. Even though there is the Bovis reference rule, it needs to evolve because our own energies and those around us have considerably. Especially since the Keshe technology is part of our consciousness and our reality. So the statements and testimonies do not commit us, they are there only to share and to change our own experiences and our knowledge of the moment. Energy test and understanding during the Magrav initiation with 21-DAY protocol Day 1 On the 15th But 2016 a day before the end of the Magrav's workshop Magrav House before the Magrav: â ?? ¢ Potential energizing energy for ourselves and the environment. 70% to 80% (c ???? is to say the maximum capacity on day 1 of the house) â € ¢ Vibratory energy from home 50% â €? EV home when laying The Magrav unplugged on the buffet: 60% â ?? ¢ EV home when you plugged the Magrav into a socket and out, just a small led: 70% in 1 mm Day 2 16 But 2016 end of the manufacturing course. We came home and, as soon as we walked through the door, we both felt a strong, beneficent and benevolent presence of the Magrav, while we were very busy with our day E, this renewal of energy has done us greatly good. Upon arriving, I laid unconsciously the care bracelets made on the bed on the stage, at the place where it was revealed and corrected A gap in geobiology at the beginning of our installation in this house. Before sleeping, Maylis put his bracelet 2 m from our feet on a piece of furniture, I put mine on the bedside. We spent a very special night, waking up several times, making dreams, taking consciences, nightmares. For my part, this awakened memories and problems of confinement and confinement, Maylis found the cramps before the intervention in gÃ © tÃ © Obiology, dreams made him realize that the origin of physical pain is mostly a state of shock, d ??? To treat the emotional (which is a form of confinement). We felt and experienced amplification as an exponential state of our emotional, mental and behavioral problems. The next morning we found that the flaw in the fault had returned and that the vibrational energy of the bed area was at -5%. We tried for several days to fix the problem of the fault, but it did not last and finally, nothing worked. We had to abandon our interventions. Understandings: The Magrav's plasma fields in connection with the bracelets served to refer us to the origin of our problems in order to show us where it was necessary to pay attention. The Magrav has put everything back to zero, like the problem of the fault. This made us understand the origins and foundations of our own faults, between us and the earth, which connects us to it so that in a common sense we mutually agree. This raises the importance of posing an intention before any use and being responsible for every thought and every intervention with plasma technology, in the image of the universe in infinite expansion where the light penetrates into the beings and pushes the shadow to the exterior. In the present case, this experience has shown us our limits and our enclosures, inviting us to go beyond. From the 3rd to the 7th day: progressive load up to 1,000w maximum. The house varied from energy constantly and I didn't come to understand really, I just watch the plasma spread out fields and do some cleaning. For several days we found improvements in the fault energy as well as our sleep and after a few days there was no more Cramps or harm. It dates back to 20,000 Bovis. After the connection, it is at 60,000 Bv. I become more aware at this time that it is sensitive to the intent, thought and energy of the man, I Is increasingly feeling its presence as if it were palpable, as a being who is born intelligent who needs consideration, directions, which gives a lot of wrap and benevolence. From 24/05/216 to the 9th day In the morning it is at 20,000 Bv. I take care of it, it goes to 40 000 BV. I am very enthusiastic and I share all that we could achieve together, so full of projects. It suddenly drops to 35,000 Bv. It would seem that he does not wish to be in a projection of the future and the future and that this creates an imbalance and too much magnetic. At 20:30 it is at 50,000 B. From 25/05/2016 to the 10th day In the morning it is at 40,000 Bv, the evening is at 95,000 B At 12:30 It is at 40 000 Bv, (symbolic observation of what happens in our environment that day), many works that have been waiting for a few months are realized that day as: our proprietor calls us to unclog drains and gutters from the water around the house (because the water passed under the house and there was too much moisture) Maylis cleans the house from top to bottom, I also unload a sink that was half blocked. We felt accompanied, everything was fluid in our environment and in us. From 26/05/2016 to the 11th day œ8h30 Magrav Ã 40 000 Bv, house to 40 000 Bv, Maylis Ã 10 000 Bv (headache), Luc 40 000 Bv. Supplement of 500w with breaks, Magrav during 95,000 Bv, after the break Magrav to 45,000 Bv, House 45,000 Bv. From 27 to 04/2016 from the 13th days to the 21st day on 02 and 03/05/2016 with 950w from 35 mm to 40mm with breaks The 06 and 08/05/2016 with 1 900w maximum of 40 to 55 mm with breaks On 05/05/2016 to the 22nd day, a test in radiesthesia indicates 2 more days with nothing but 100w On 08/05/216 last day Magrav stabilized At 45 000 Bv - house at 70 000 Bv Today, I connected another loop Magav that I have realized and it brings us 30%. Even if we have not had a result that meets our expectations, we are aware of all the accompanying and transformations that they bring us. And about economics, we do it on what limits us and encloses us. We realize that it is a story that is both personal and universal of the development of the soul and there the gain becomes immense. Thank you Mr Keshe, thank you life. Here is a short summary of my Magrav systems performance for 2016. In Holland we have a three phase system. I have meters in different Lab related spaces to measure electricity use. I used coils and Magrav's throughout 2016 in different spaces. I placed them closest to the house meter and farthest away from the house meter. The Lab. Is full different plasmatic field generators. The lab has a large portion nanocoated electricity wires. Perhaps all wires in that room are coated. That is a 35% saving. I will put pictures of the E-bills and meter on my FB tomorrow. All skeptics will have a clear shot at this, but these are the data. I don't now how else to calculate it. There are several buildings here with different spaces. Thank you Mr Keshe and the Keshe foundation for making all this possible. After building a number of units for car, house and RV, which have give more MPG and reduction in electric usage, I have plasma fields throughout the house! My Youtube Channel Showing the Fields! Hi Mr Keshe and all. Just one link to my youtube channel showing the fields! Please see others, and will upload more showing perpetual spin with magnets on a band. MaGravs Double Phase, 110V, 220V or 380V. 78% economia residência, utilizando somente um magrav com fluxo no neutro.